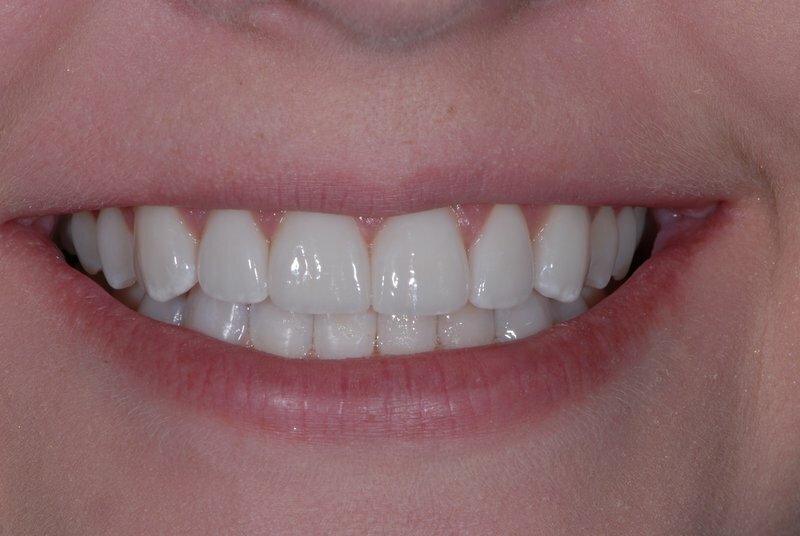 Goal of Treatment: To idealize the color, shape, and size of the upper front teeth for optimal aesthetics. 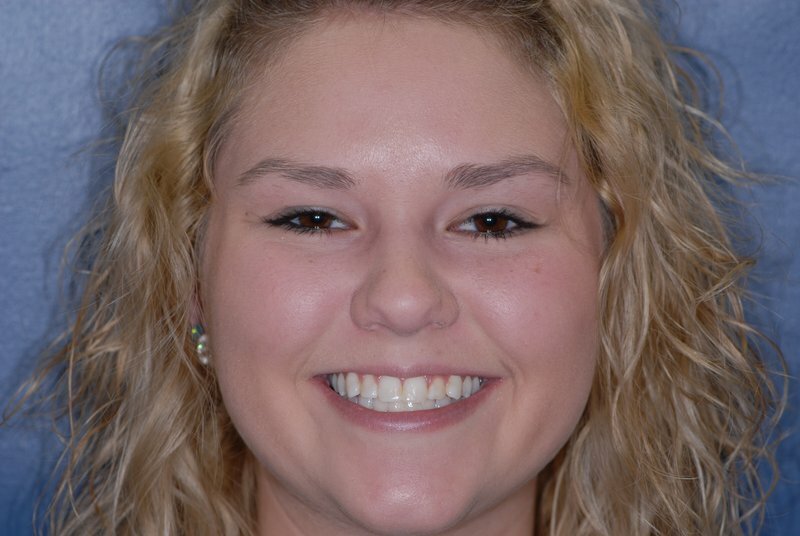 Treatment: Whitening, six veneers, and crown lengthening on one tooth. 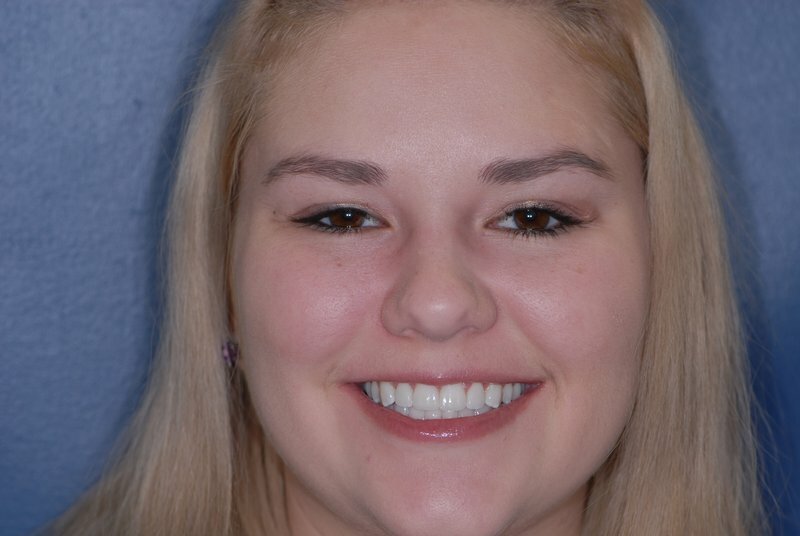 Porcelain veneers are often the ideal tool used to alter the shape, color, or size of teeth. They are minimally invasive, do not take away from the strength of natural teeth, and have incredible longevity. 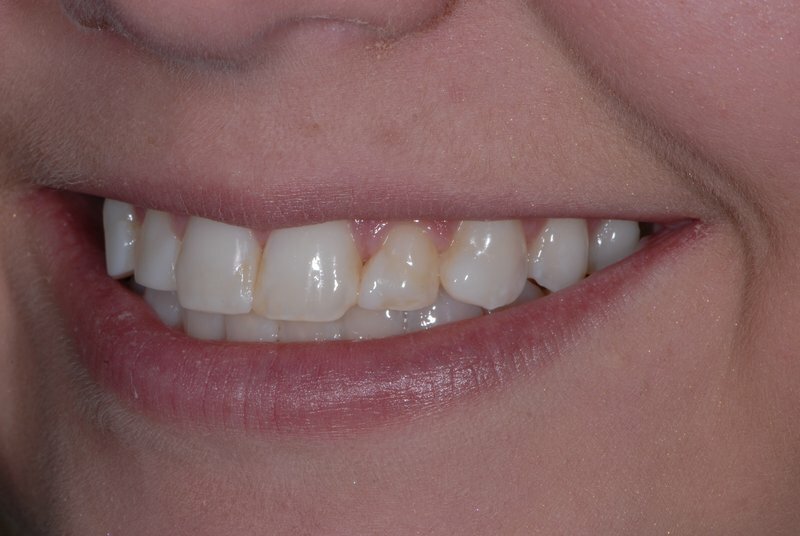 Treatment planning is the most important part of any kind of cosmetic dental treatment. 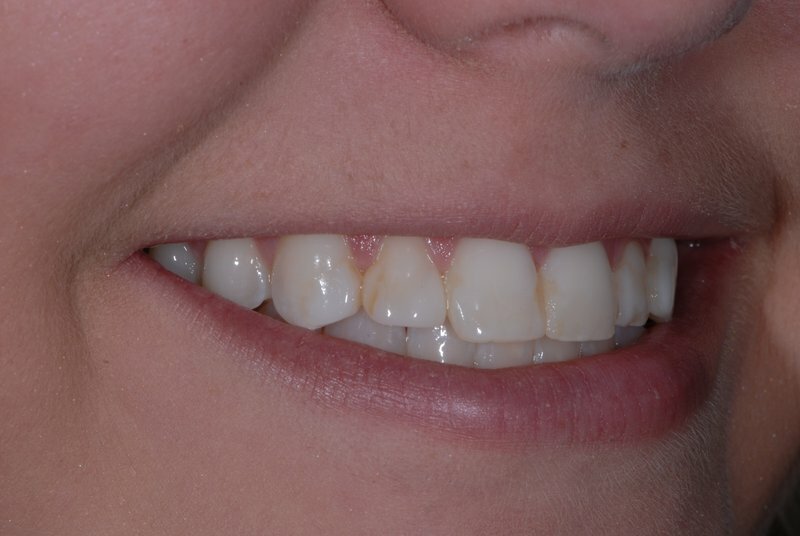 Veneers are not a “one size fits all” treatment. They need to fit into a natural and functional bite as well as relating harmoniously with facial structures such as the lips and nose. Dr. 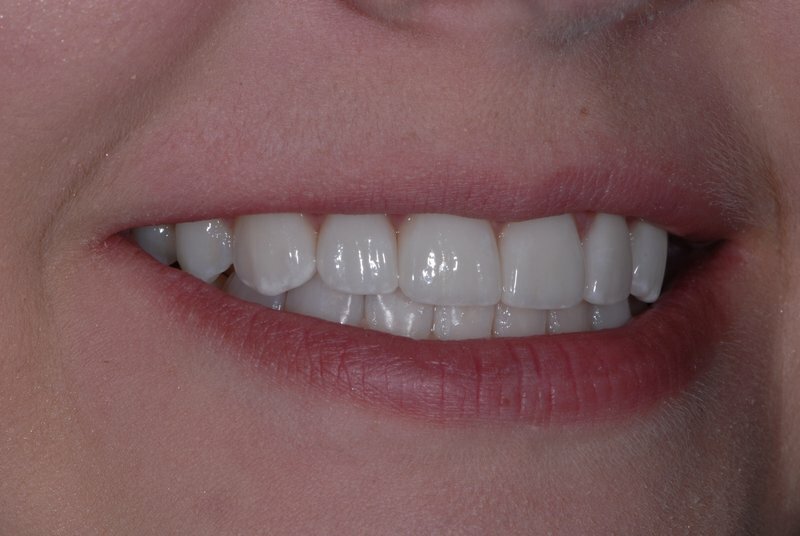 Hull works with a skilled ceramist throughout the case in order to achieve a natural and esthetic looking result. 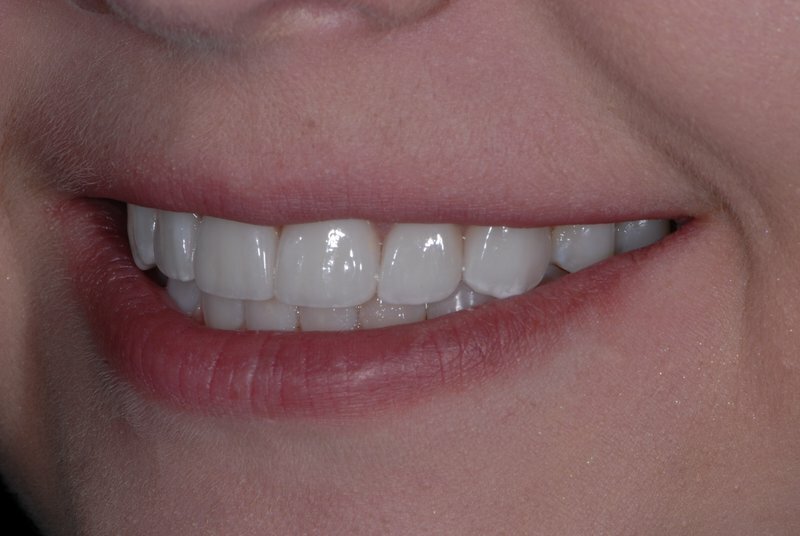 The veneers are made with multiple colors and characteristics that ensure they look like a natural tooth. In addition to working on just teeth, Dr. Hull often times will address cosmetic concerns with gum tissues. It’s important that the gum tissues above certain teeth (ex: canines, lateral incisors, and central incisors) are contoured for a natural look. Symmetry is incredibly important as well. 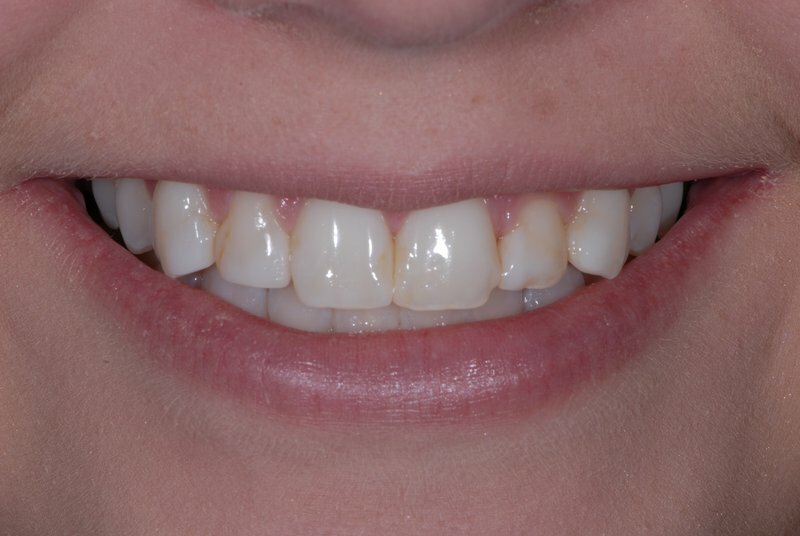 In this case the gum tissue on the patient’s left lateral incisor was altered to idealize symmetry.